Game: Divide all players into 2 even teams and spread the members of one team out such that they make the points of a polygon (ie: square, pentagon, hexagon, etc…). This team that forms that polygon will be doing exercises in place (polygon team), while the other team will be trying to race around the polygon as fast as possible (racing team), doing certain exercises at each point of the polygon, and then they will switch. The team with the fastest time wins. Depending on the size / number of points in your polygon you may need to have teams do multiple laps around to finish. Also, if you see anyone from the Polygon Team not doing their reps, you can tell the Racing Team to skip through that point without having to do their reps, thus speeding them up. You can have a penalty for the slower team each round. Sometimes I let the teams wager what the penalty will be for the team that ultimately loses. Battlegon: When the team that is racing around the polygon gets to a point, they must battle the person there from the other team with rock, paper, scissors. 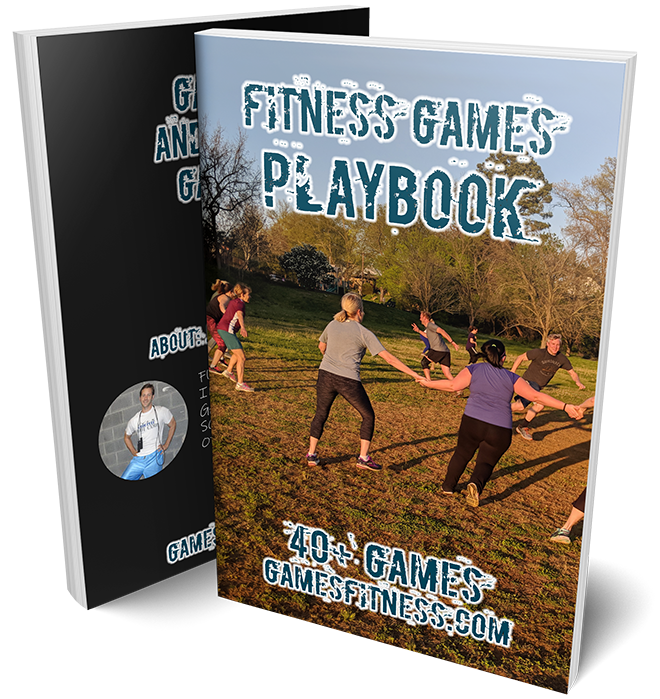 If they win, they do their reps as normal, but if they lose, they add 5 burpees! We put everyone around a rectangle instead. Team on inside races around while team on outside does reps in place.